Samsung Electronics claims to have set the industry’s first milestone in 5G development by announcing successfully achieved transmission speeds of 940MB per second in a stationary environment. Meanwhile, it also claims to have acheived transmission speeds of 150MB per second, in an uninterrupted mobile connection in a from a vehicle moving at over 100 km/h. Samsung has boasted the most recent trials are also the first successful 5G tests to be conducted in an outdoor environment, in contrast to those before it which have been conducted in stable, indoor environments and laboratories. ChangYeong Kim, who is Head of the DMC R&D Centre at Samsung, believes the clamour for 5G will not subside, especially when considering the pervasion of mobile devices, the internet of things (IoT) and the cloud. An obstacle that required overcoming, according to Samsung, related to short range and high frequency spectrum challenges. The 28GHz frequency was utilised for the 5G trial, and due to its short range, Samsung utilised its proprietary Hybrid Adaptive Array Technology in a bid to extend frequency range. 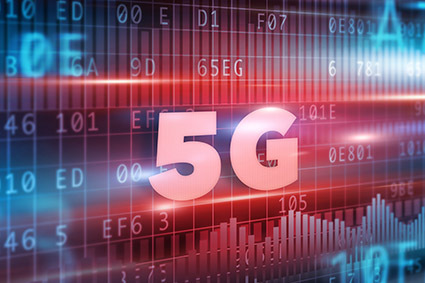 Of course, 5G trial speeds and technology development is showing early signs of promise, however standardisation of the technology still requires ratification before commercial deployment of the next generation mobile technology can be considered. To that end, Samsung has proposed the “5G Rainbow” in a bid to engage with other stakeholders in the industry and accelerate the standardisation of 5G. Through the 5G Rainbow, Samsung has identified seven primary areas of technology which require addressing to ensure a differentiated user experience on 5G. These include data rate, spectral efficiency, data transmission, simultaneous connections and cost among others. It appears Samsung’s R&D has been pretty busy recently, after it also announced WiGig breakthroughs to help drive the adoption of 801.11ad wifi connectivity. It appears as though Samsung is doing its bit to help the future arrive quicker, and be quicker.